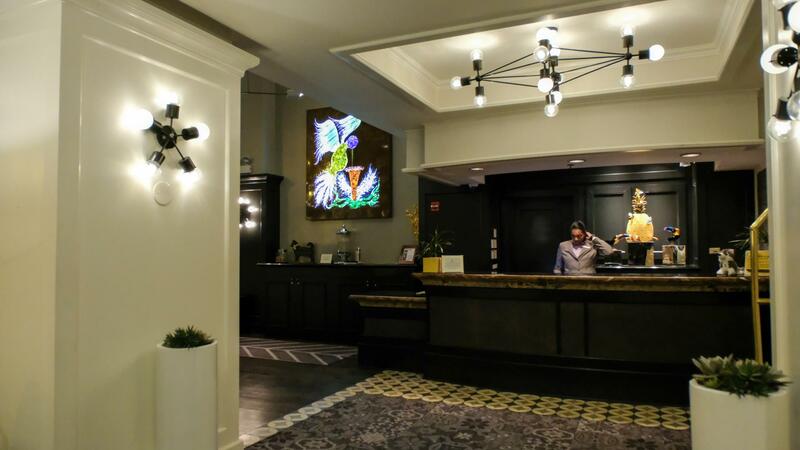 Not sure where to stay in Chicago for your upcoming weekend trip? Well look no further because The Alise Chicago is your perfect choice! Reservation was made for a Millennium Park View King Suite priced at approximately $256 USD/night (November low season rate; summer rates can vary ~$439/night). Millennium Park’s Jay Pritzker Pavilion in the distant sunrise & Muddy Waters mural dedication. 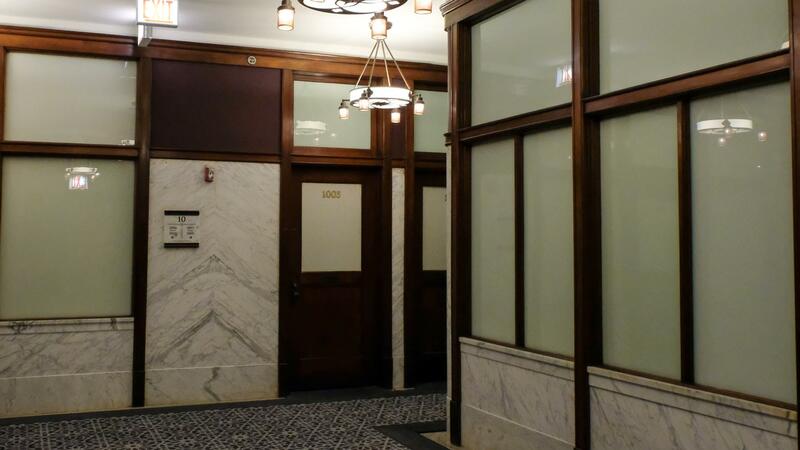 I’ve never gone in depth about hotel background in any of my past reviews but The Alise is most certainly one full of history especially considering the fact that it is housed in one of Chicago’s National Historic Landmarks – the Reliance Building. 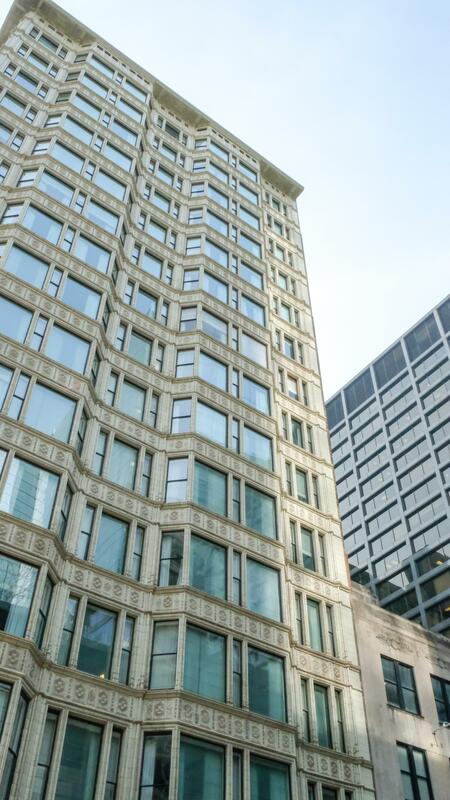 The building was formerly a retail/office space but it struggled to bring in business during the Great Depression hence was eventually bought off by the City of Chicago for $1.3 million and later converted into a luxury hotel, previously known as Hotel Burnham. 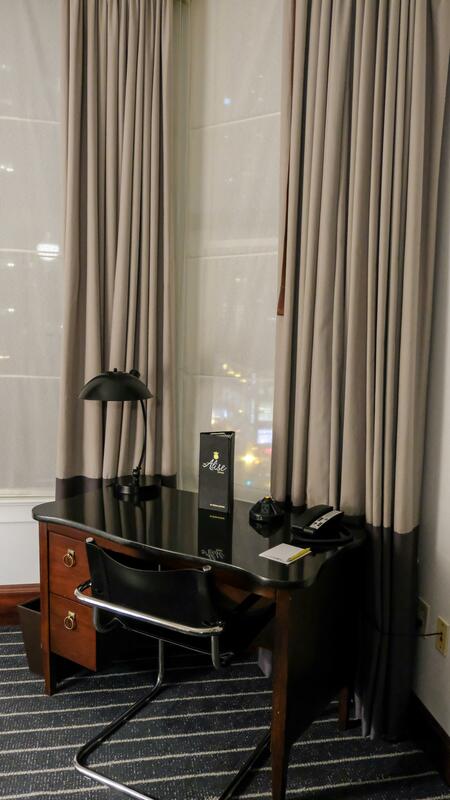 The Alise Chicago has kept its original 19th century office look but also combined this historic charm with modern luxury boutique hotel vibes with an added hint of fun and cuteness from the Staypineapple element. I usually take cabs/uber going from airports to hotels and vice versa but getting to The Alise was honestly so easy and convenient, not to mention cheap so +1 for awesome location! 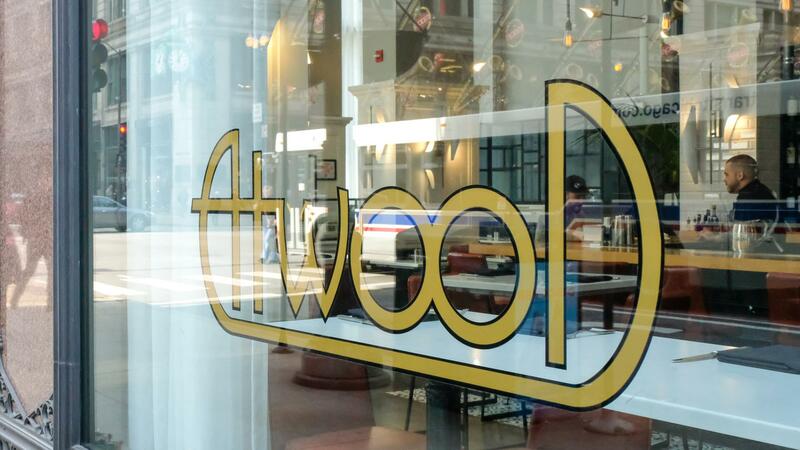 Atwood specializes in American cuisine and is located on the first floor of the hotel. Although the restaurant is only open until 10:00PM, room service continues throughout the night and is offered 24/7. My friend and I dined here Monday after checking out before heading to the airport. 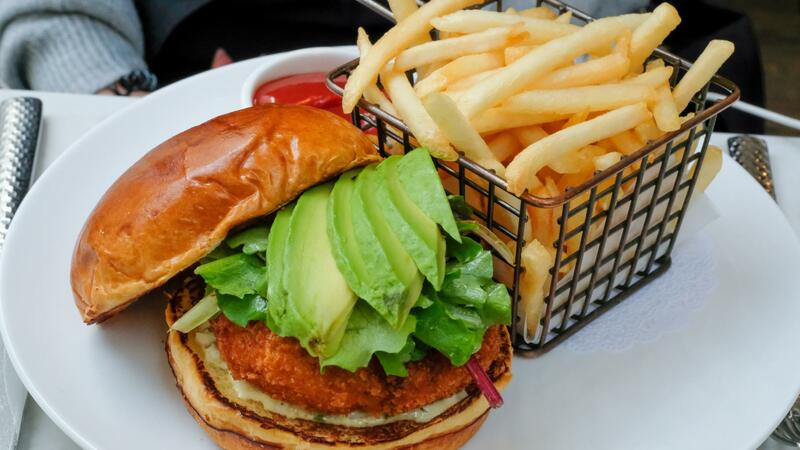 We ordered the loaded tater tots with a side of salad and the crab cake sandwich. Every time I visit the States, I’m always astonished by the size of the portions. The food was phenomenal and we were stuffed. 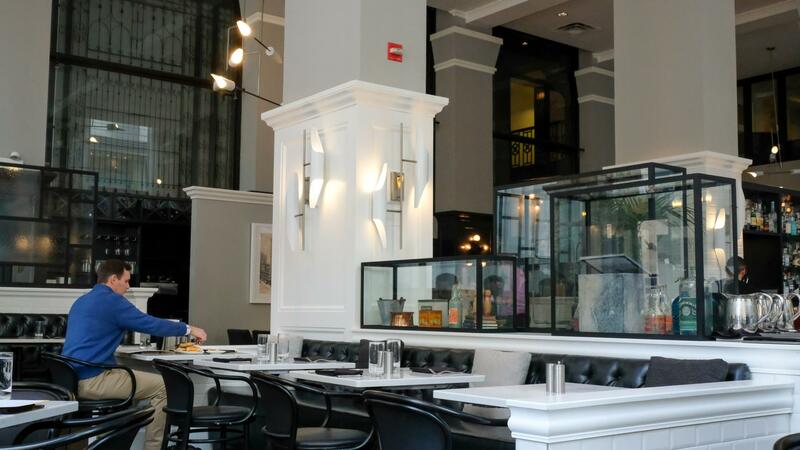 A lot of business professionals from the Chicago Loop area come here for lunch and lunch meetings and it’s quite the nice restaurant. From within our room, we got a little peekaboo view of the Millennium Park. 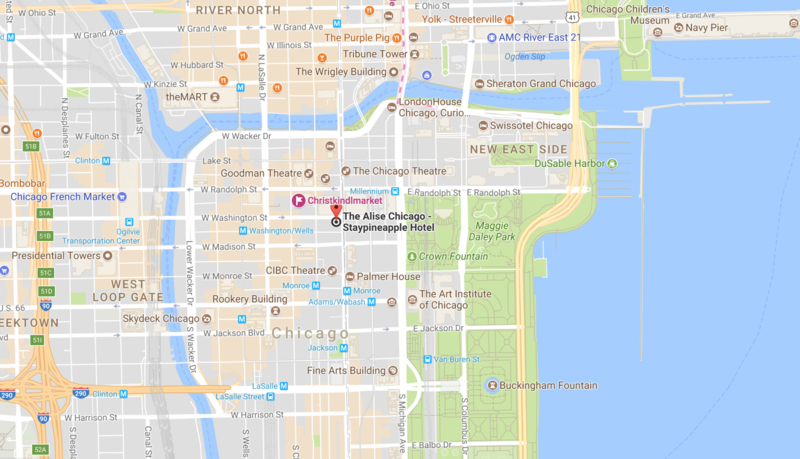 Needless to say, the hotel is within walkable distance to several main Chicago attractions not just the Millennium Park but also Grant Park, Chicago Riverwalk, and 360 Chicago at the John Hancock Building just to name a few. 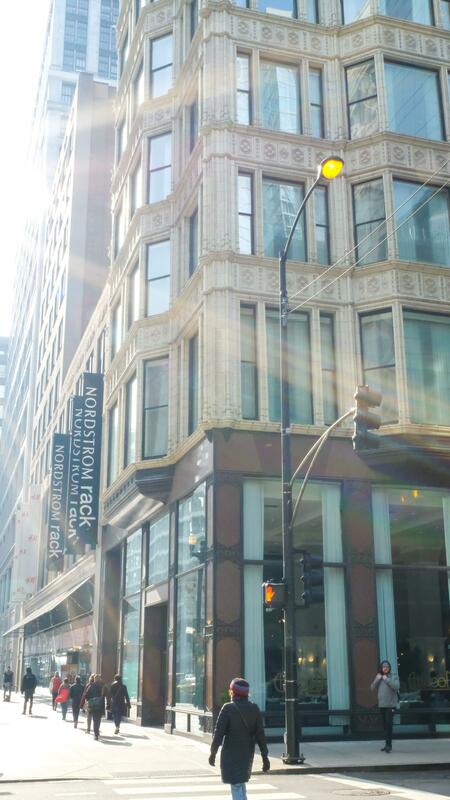 Right along Washington Street, there are various shops as well such as Macy’s, Block 37, and Nordstrom Rack where you can indulge in a little shop ’til you drop. And if you walk down a bit further, you can even treat yourself to luxury shopping on the Magnificent Mile or Michigan Avenue. Food wise there are quite a few restaurant options around if you decide not to dine at the Atwood. 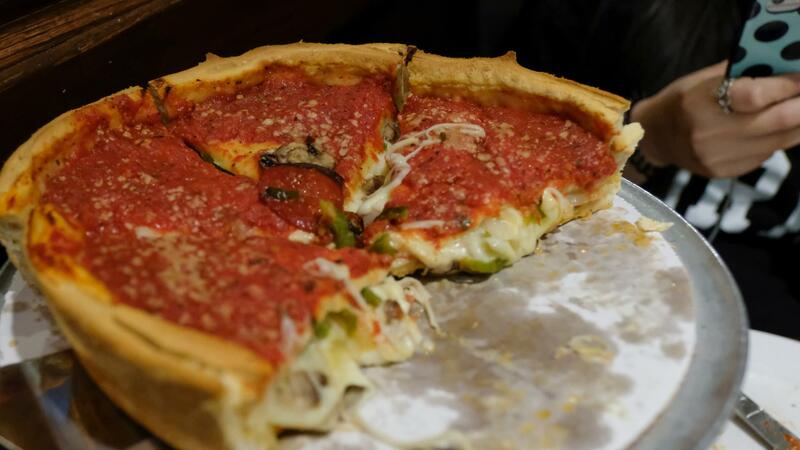 For example, you got your famous deep dish pizza at Giordano’s and psttt there’s even a Nutella Café too!!! The reason why this is my most memorable hotel experience is because of the warm gifts we were greeted with. 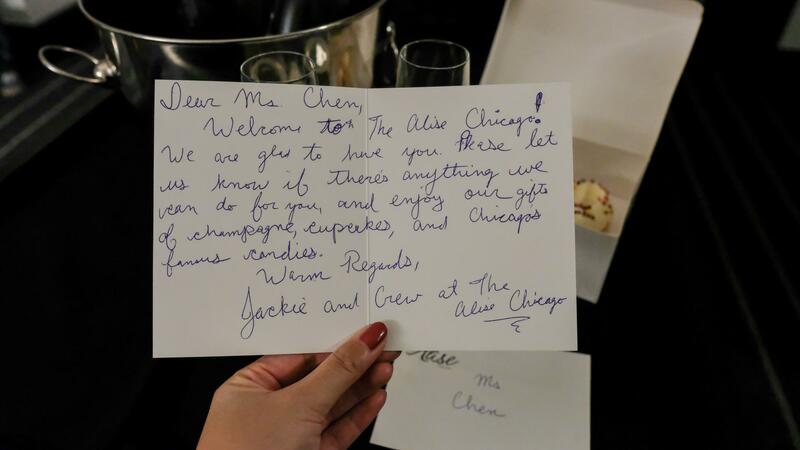 Upon entering our room, we saw a bottle of champagne and some sweets (Magnolia cupcakes) in addition to a lovely hand-written card from The Alise Chicago team. 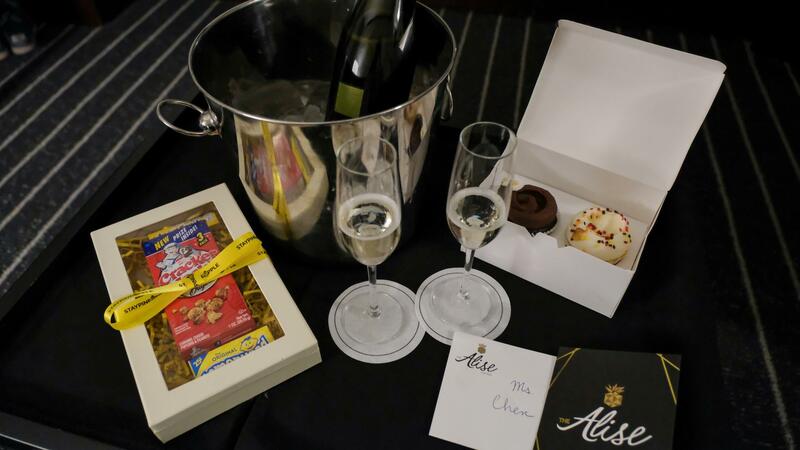 Again, yes, this was a sponsored stay, but this was the first hotel I’ve ever worked with that provided such a hospitable welcoming. Sponsored or not, they go great lengths to make sure guests feel welcomed. 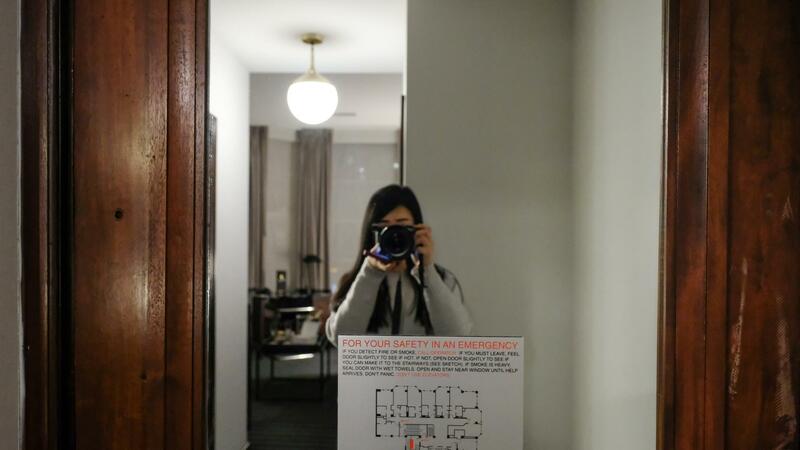 Aside from the big wow factor, what really left an impression on me was thoughtfulness for even the smallest details. Yes, it’s pineapple colored and it definitely came in handy during our visit. Okay, let’s be real here… how many of us feel self-conscious in the bathroom when you know someone outside can hear you. It doesn’t matter how close I am with the friend I travel with, I always alwaysss stress out when bathrooms have bad sound insulation. 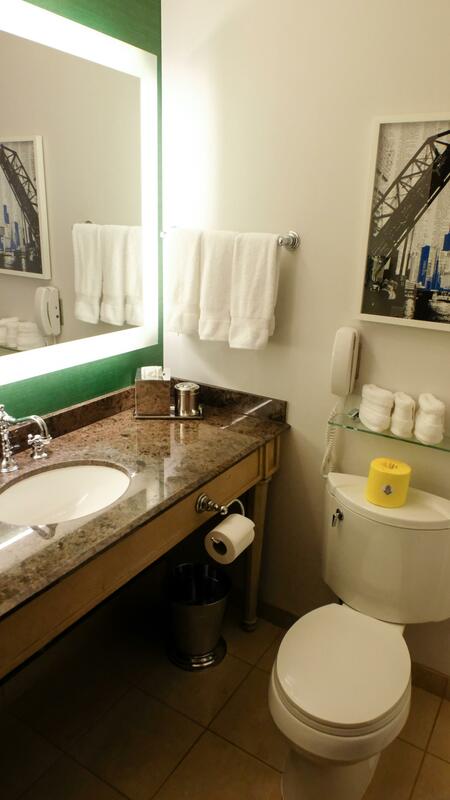 I’m telling you, The Alise Chicago really does pay attention to the little details! No standing in the washroom for half an hour struggling to dry your hair whatsoever. Instead of scrambling all over the room looking for an outlet and having all your devices scattered across and accidentally forgetting to bring a cord home, the central charging station is an absolute life saver. 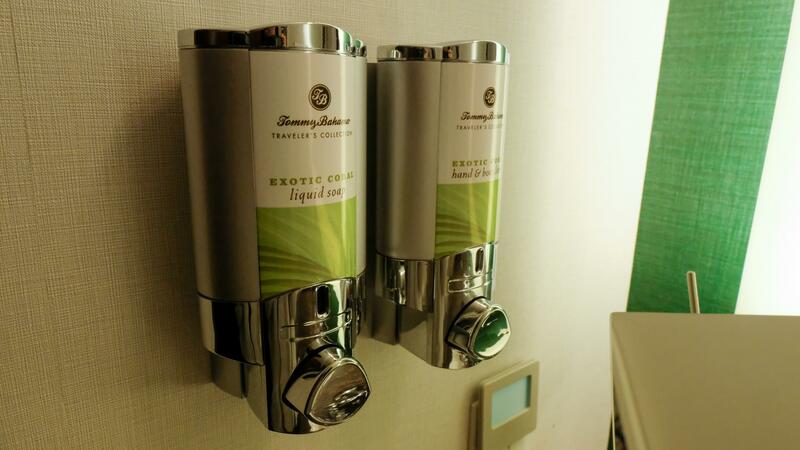 Most hotels usually only provide two bottles, some don’t even! This is a huge one for me for sure because I go through more than eight cups of water a day. All of these may seem like no big deal but together they enhance the overall quality of the stay. I’ve never gone this in-depth with past reviews but this was truly quite the exceptional experience. We all know what it’s like to fight for the cover in the middle of a freezing night. At The Alise, you get two sets of individual duvet aka. European style duvet so you and your travel partner can enjoy a peaceful night’s rest. Hotel has bikes for rent for those summery days you want to explore the nearby parks. Dog friendly! Feel free to bring your furry friends. Staying in a busier area generally means louder noises. On the first night, there were so many police cars and ambulances passing by that I was just tossing and turning even though I was dead tired from waking up at 3AM to catch my flight. Second night, however, I slept like a baby. It’s just one of those things that’s inevitable unless you’re staying in the mountains in a sealed off cave nowhere close to civilization. The hotel is environmentally friendly and this is absolutely awesome but not sure if it’s because of this that the hot water takes a bit longer to come in the shower. I personally enjoy showers that are steaming HOT so if you’re like me, just keep the water running while you go take off your makeup and whatnot (although that does kinda defeat the eco-friendly concept.) Either way the water is not entirely freezing cold. Plus, hot water can actually cause dry skin and rashes so it’s okay to take a colder shower every now and then. Apart from these last two minor points, I have nothing but good things to say about this hotel. 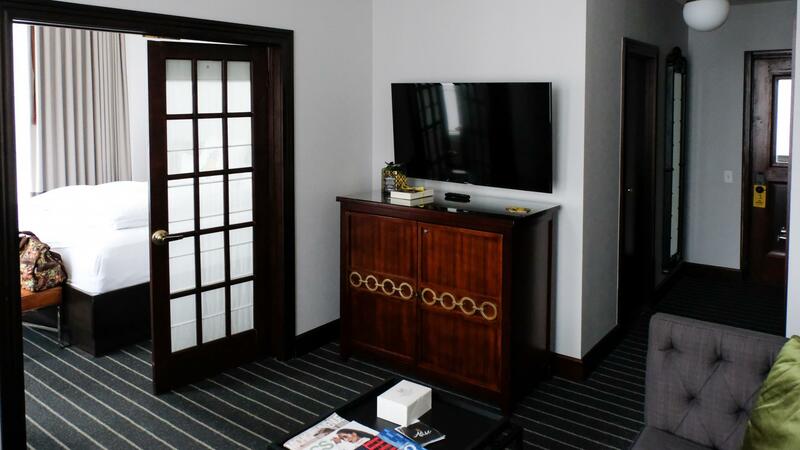 Whether you are from out of town or you are a local Chicagoan looking for a staycation destination, The Alise Chicago is simply perfect. 10/10 would recommend! Husky plushie $25, proceeds go towards helping rescue dogs! 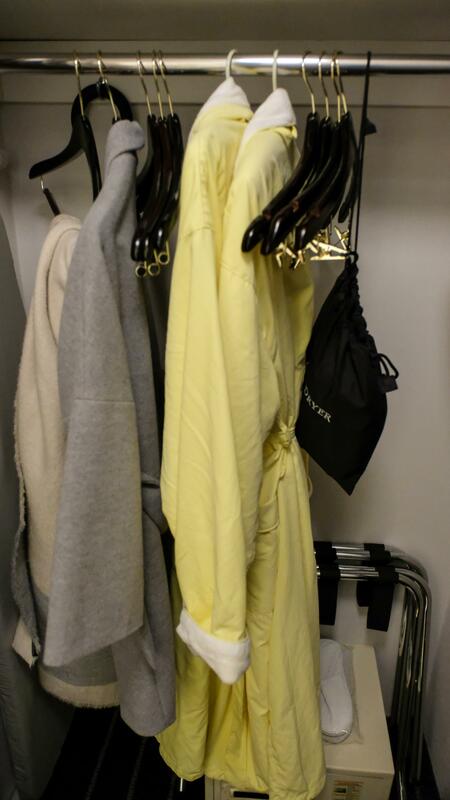 Ultra soft hotel robes lined with towel fabric. 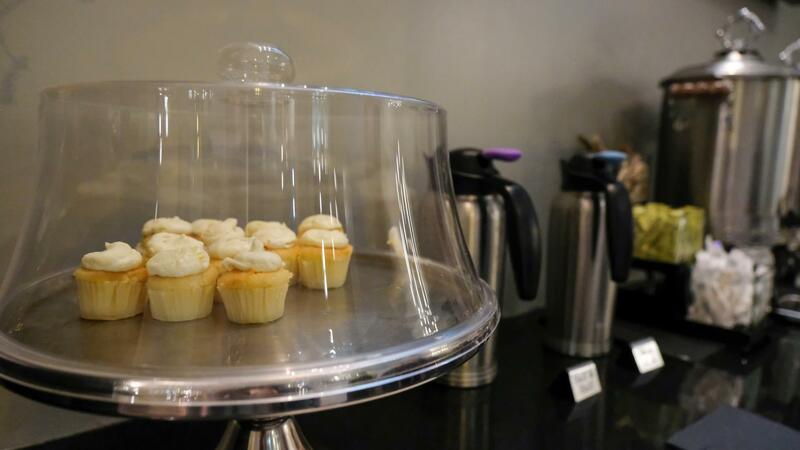 Daily complimentary coffee and cupcakes from 3:30PM to 6:30PM. Legit what my life would be like if I had a husky. And that’s it for this week. 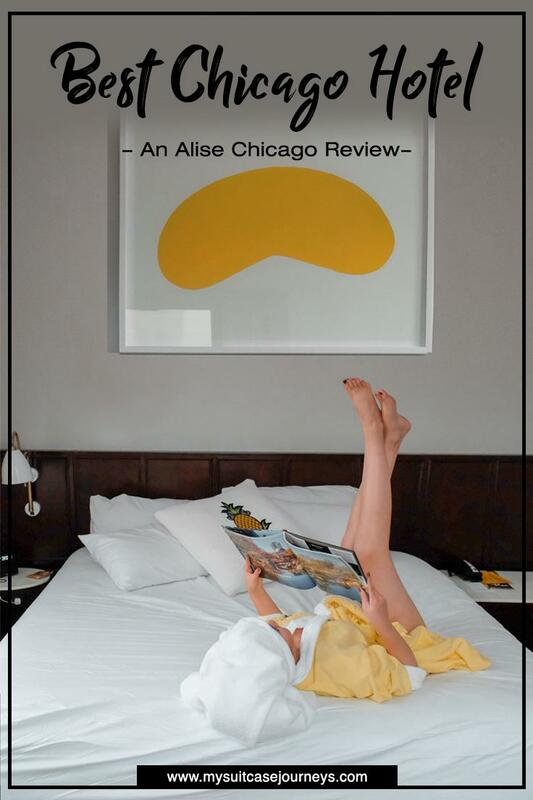 Hope my Alise Chicago review has given you a better idea of where to stay in Chicago and I hope you’ll give it a try. Please note that I was welcomed by The Alise Chicago as a guest. However, all opinions are my own and I genuinely enjoyed my time here and recommend staying with them. This post contains affiliate links. Previous Post A local’s guide to Hollywood’s best nightlife. 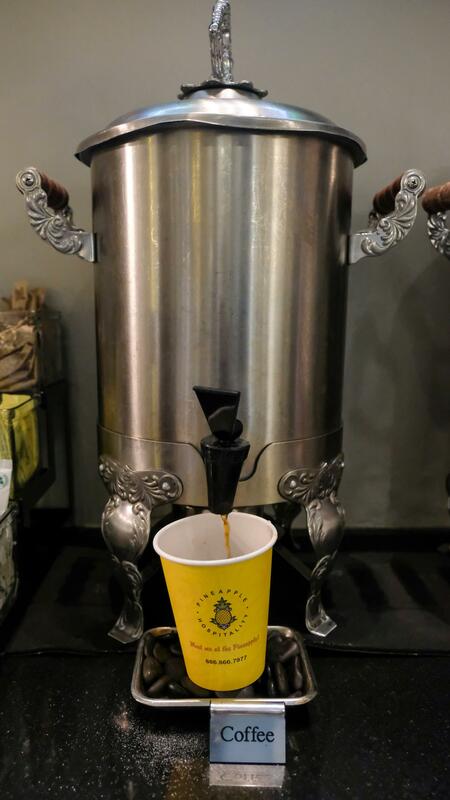 I love when hotels are inside historic buildings, and love seeing how they leave certain fixtures like they were back in the day, and modernize other aspects. 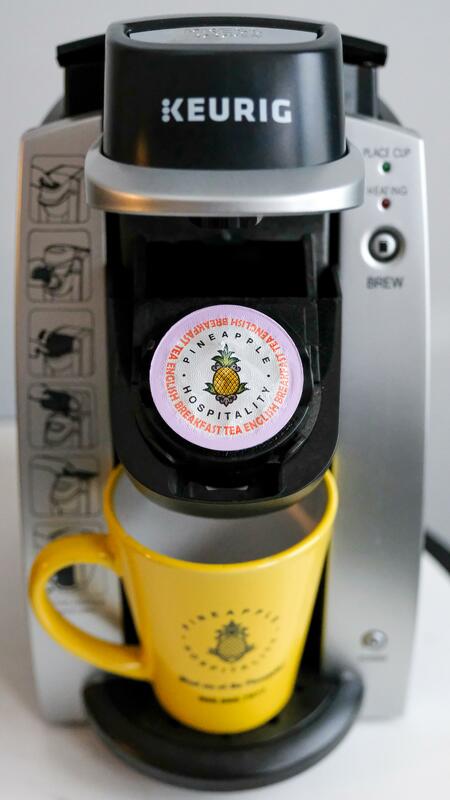 And seriously, all of the pineapple themed things are super adorable. I’d love to stay here when I visit Chicago! Hahahaa perfect too because if you’ve shopped ’til you dropped, your hotel is literally right beside! 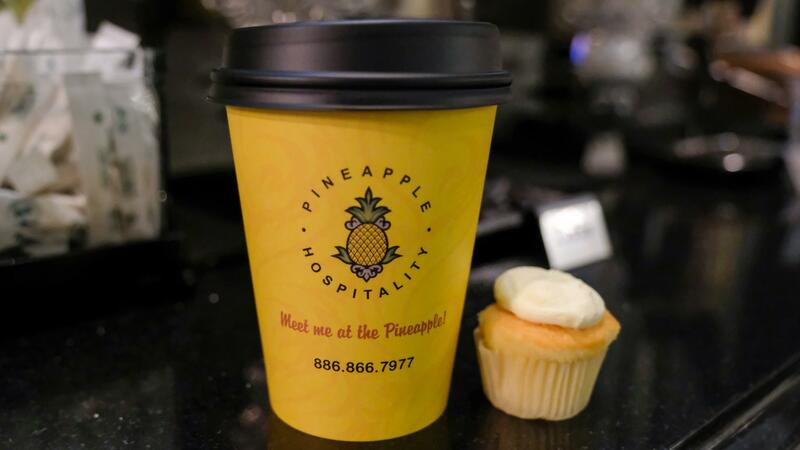 I love the theme of pineapples, not something you would expect in Chicago. You had me at the Nutella cafe that is close by! The hotel does look comfortable and clean, pretty building too! Love the look of the Stay Pineapple, especially the architecture and the wealth of historical interior decor features which have been beautifully retained. 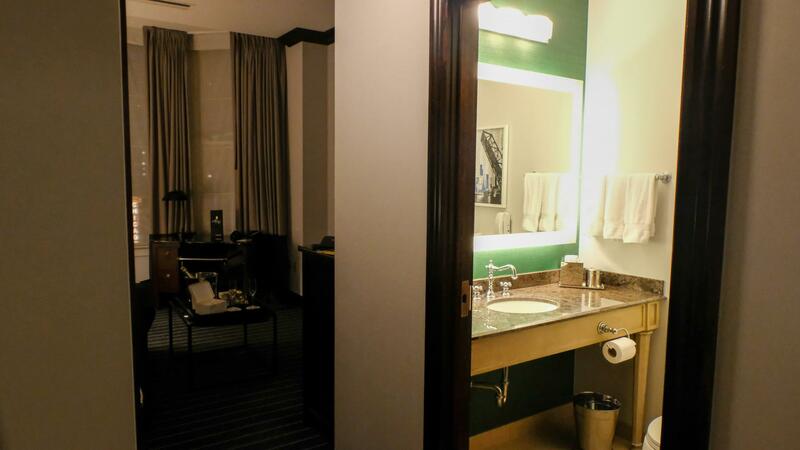 And then contrast that with modern and gorgeous rooms, facilities and service, looks ideal. The name is so unusual, do you know the story behind it? I totally know what you mean and I definitely felt the same so I just sucked it up with the lukewarm shower situation. It really wasn’t that terrible. Plus, showers that are too hot can actually be harmful and give you dry skin and rashes – which I kinda suffer from hahaa so it was a nice little kick-start to toning down my shower temperatures! This was such a thorough hotel review. It’s a little luxurious for my taste, but I will definitely be open to staying here one day when I get the chance because I love the theme of it all. Love the pineapple hints and the play on yellow, very modern! Thanks for a great review! 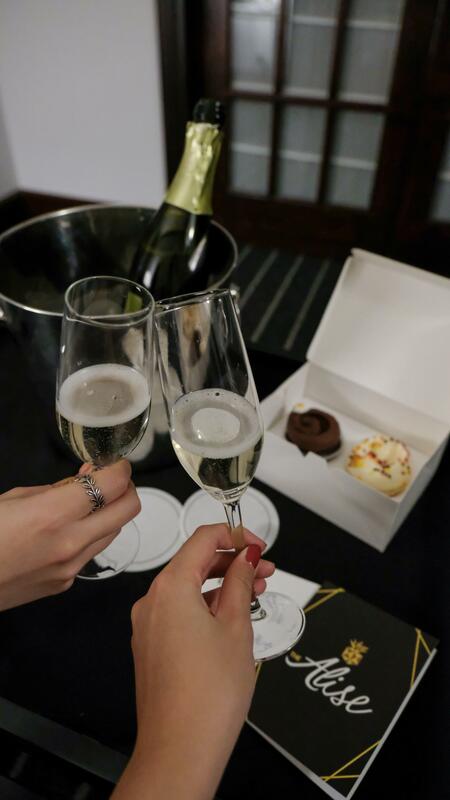 It’s definitely a lovely treat for a special occasion or if you ever feel like pampering yourself! It may look luxurious, and is most regards it is, but the feel of the hotel in its entirety is comfort, and FUN!! The Atwood Restaurant and bar is terrific. We were there for three days over Christmas and it was just a dream! Beautiful hotel! The food looks amazing! Very nice review. 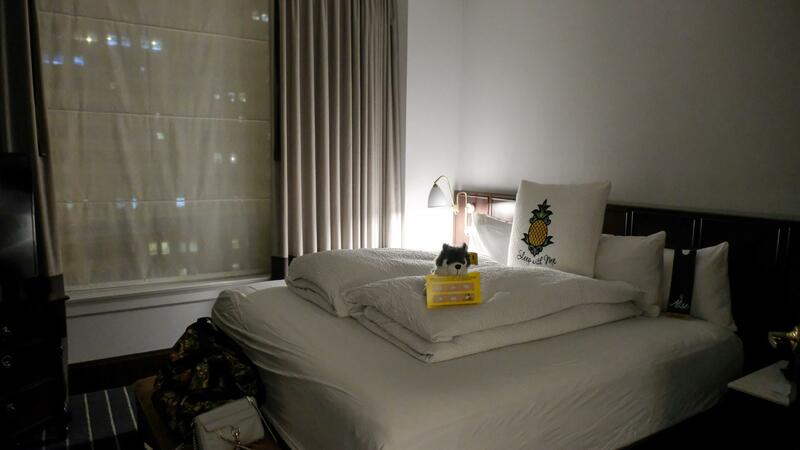 I’ve never been to Chicago yet and can’t tell what it’s like, but this hotel looks pretty decent (love the Pineapple theme!). I definitely recommend visiting during the warmers days – maybe summer. My visit ths November was just too cold and rainy so we were kinda stuck indoors a lot with not much to do. This hotel would be perfect for you guys! Love the staircase and view from the window! I don’t stay in hotels that much but this looks beautiful. Looks like you had a lot of fun. This looks like a lovely hotel in a great location. 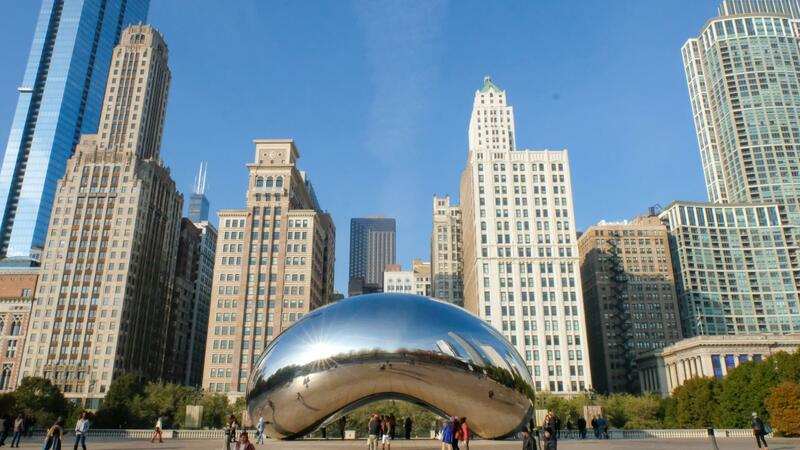 Chicago has so much going on, it would be nice to stay right in the heart of it all. Great and complete review, thanks for your efforts in writing this. The charging station is such a great idea. I sometimes end up unplugging lamps behind the bed so we can charge our phones and camera at night (and sometimes wished I never looked under the bed ahah), which is super annoying. I end up travelling with a power strip but I’d rather not to! Do you know how eco-friendly this hotel is? I have heard so many great things about Chicago lately. Thanks for the hotel recommendation very useful. 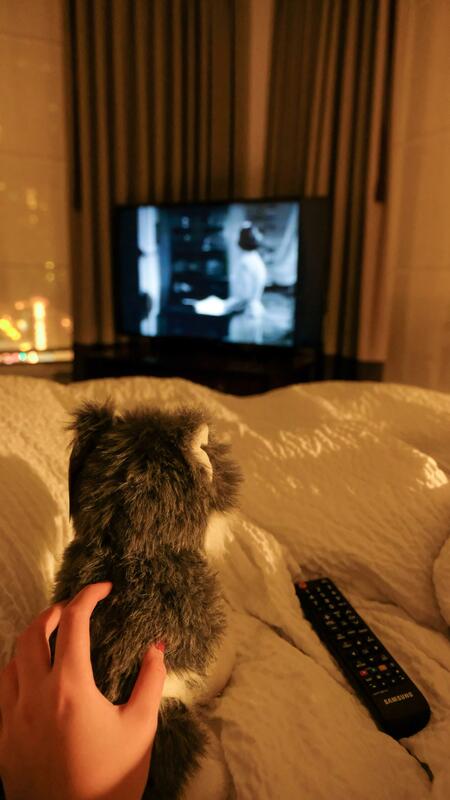 Hope you’ll consider staying here on your next Chicago adventure! 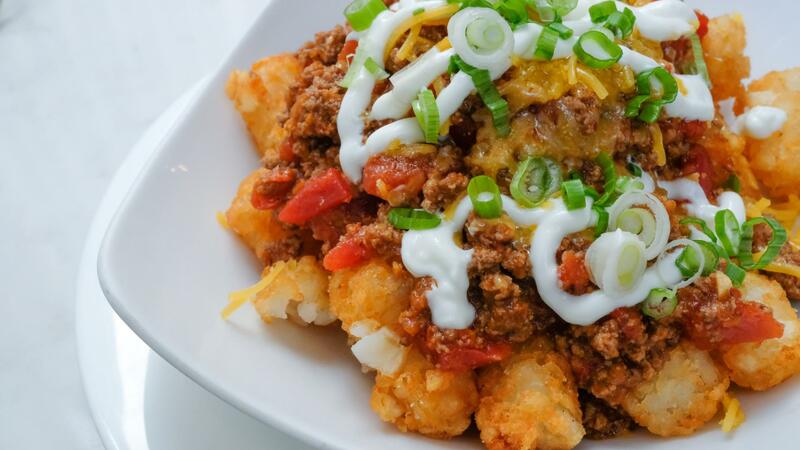 OMG those tater tots look insane! 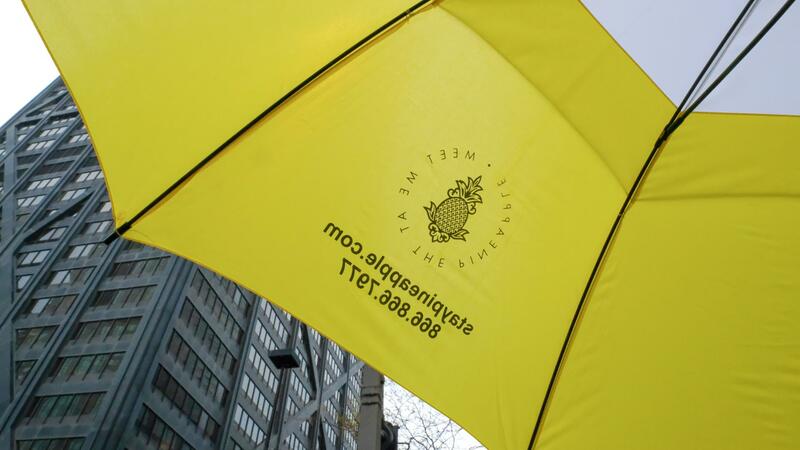 I think you’re right, the details are what really makes a hotel stand out from the rest – the umbrellas are a nice detail, and I love the yellow accessories everywhere. The huskie dog for charity too is a really nice touch. It sounds like a great place! Same! I just wanna huge and snuggle with a dog whenever I see one hahaa. A soundproof bathroom sounds pretty good to me! I was in Chicago in June, but never saw this hotel, or building! I love all the pineapple detailing; so sweet! It’s great you gave some cons to this place too (though not bad!). 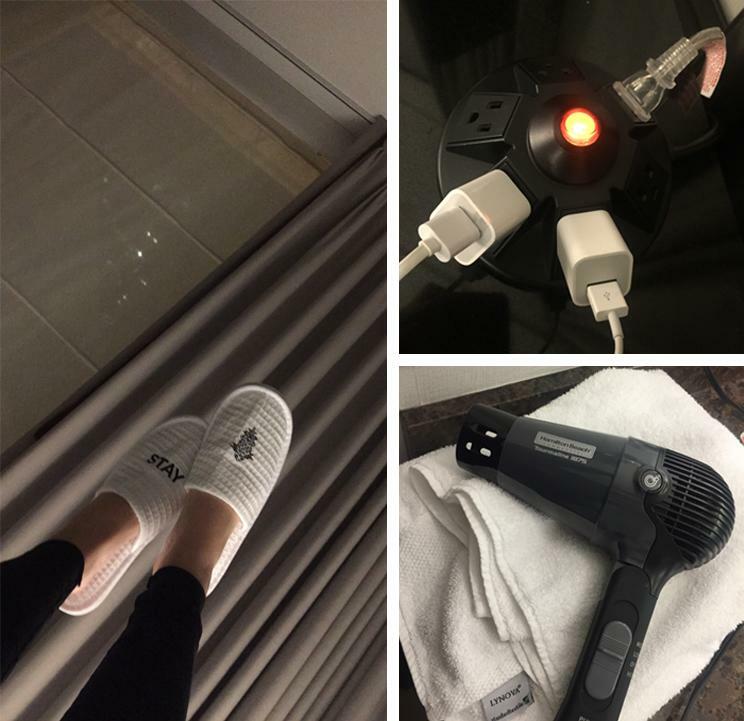 Amazing photos, I haven’t been to Chicago yet, I will definitely try this hotel, it sounds like you had a lot of fun staying at this hotel. I love being in the center of all the action. I love how you listed good and bad things to expect, that’s awesome. I definitely recommend visiting during the summer if you can. My trip there in November was just too cold and rainy and there wasn’t much to do because of that. And yes, The Alise is super central. Defs hit them up if and when you go to Chicago! Beautiful hotel! I’ve never heard of The Alise, but I go to Chicago quite often so I will keep it in mind. The location is great (Eatly is so close by!) for exploring downtown. I love the little touches and details that they seem to get right. The central charging station is so key. I’m always amazed when hotels don’t have obvious outlets for chargers. I’m at a business hotel right now and had to move the night stand to plug in my phone! Definitely check it out the next time you’re in town! And tell me about it!!! I hate it when I have to go and unplug hotel lamps just so I can charge my phone. It’s ridiculous! It’s nice that the hotel is located in a building of historical importance. Although that is not usually one of the reasons I would select a hotel for, it’s a great add on to know the story behind it. The best feature for me is that it is well-located, considering that it is not too far from Millennium Park. That, to me, is a key feature. The hotel does look lovely, with the interiors too. Good choice, glad you had a great experience! Great post! Love historic hotels and this one is beautifully styled. Love that you gave a tip about the shower too, I like mine hot as well and nothing worse than when you think that there is no hot water and you should have just waited. 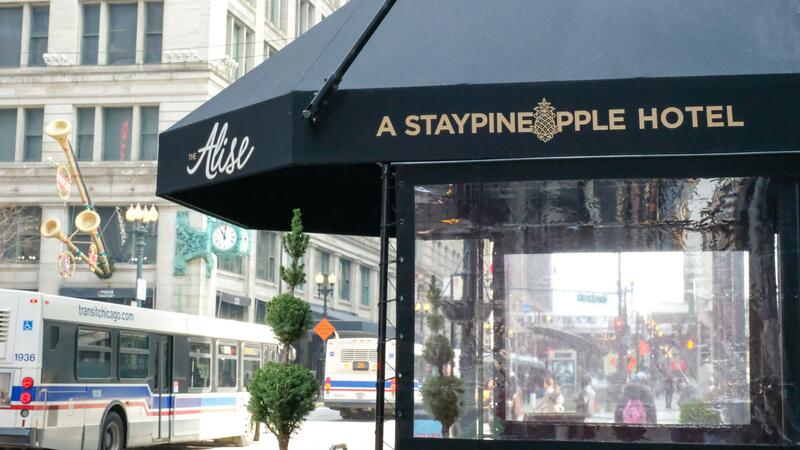 That was a luxurious stay in The Alise Chicago – A Staypineapple Hotel. I didnt know there is hotel in the Reliance building, historical indeed. I like the dining options. If I were there, I would surely spend some good time in the Millennium Park around, and would pamper myself so bad in the hotel. Glad you enjoyed your stay there. I actually didn’t either! When I was there I just kept thinking the building had a very classic vintage vibe to it and when I came home, I decided to do a little research and long and behold it’s an iconic structure! Hahhahahhaaahaa oh my goodness that’s hilarious! I bet you guys probably felt instantaneously closer tho eh 😉 If you’re ever on the hunt for a nice staycation destination (minus the awkward bathroom sounds), I definitely recommend checking out The Alise. I am so so glad to hear that, Suma!!! 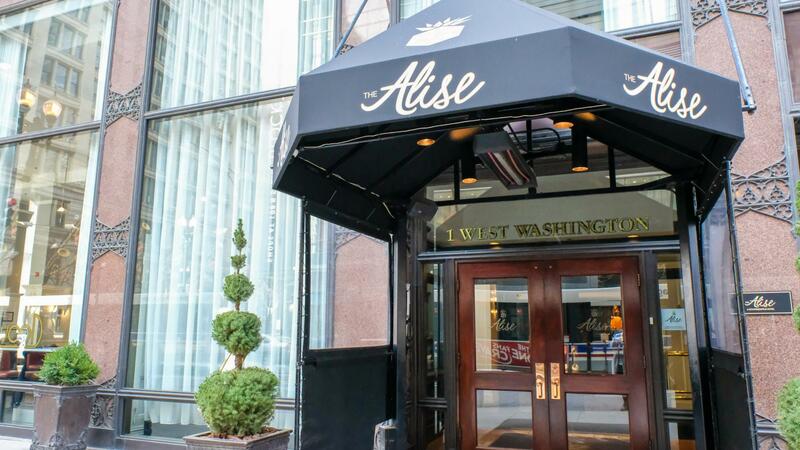 The Alise is truly a great hotel choice and you definitely won’t regret staying here! 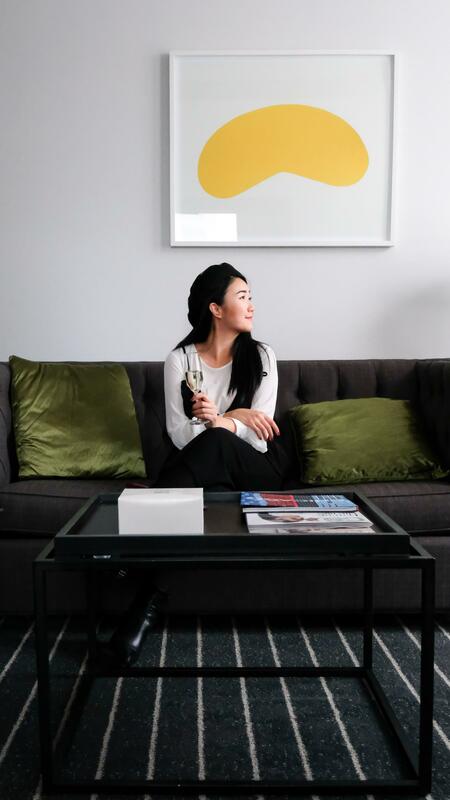 Looks like such a character-filled hotel and a great pick for Chicago. I wasn’t aware of StayPineapple until reading this so that was really handy to know. 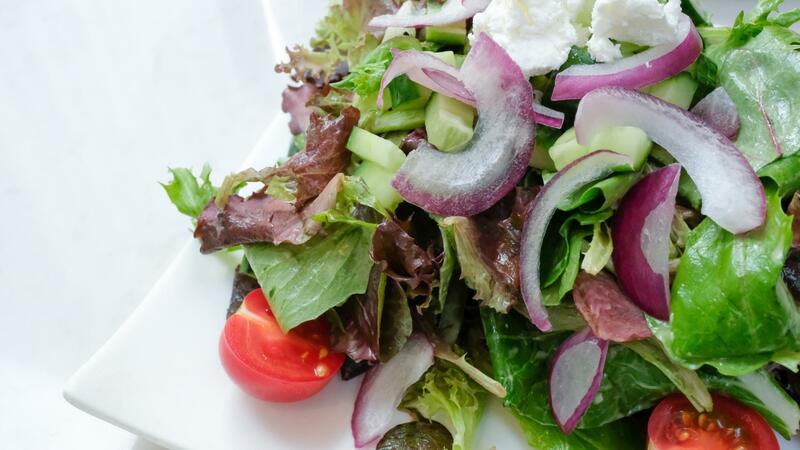 I love the look of meals at Atwood – those gorgeous high ceilings and the food looks amazing. Wow, that Reliance Building is stunning. Such a period piece. The whole hotel looks gorgeous. I love the dark wood decor and the historic finishings. No wonder you liked it! The building looks beautiful! I love how they kept the older feel of it but made it environmentally friendly. 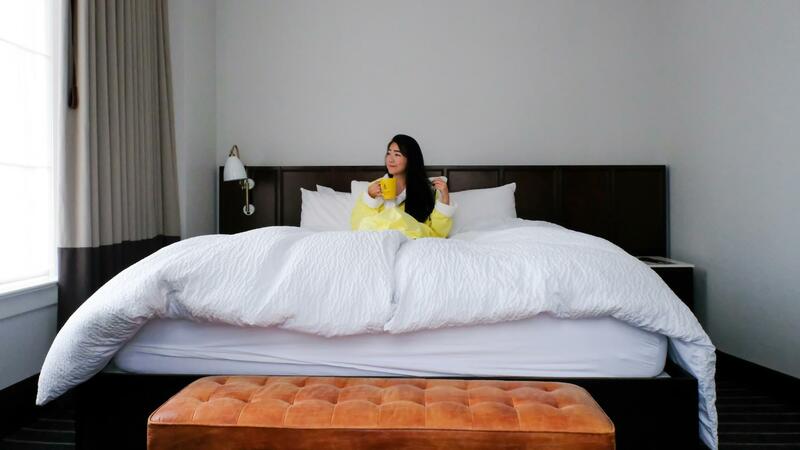 Keurigs in the room are always a “must” for us 🙂 Looks like you had a great stay! What a stylish looking place! I love that it has history and they kept the “office” look. The architecture is very cool! The soundproof bathroom sounds funny but I’m sure it’s great if you have a guest! I love the views from the room. The charging station is absolutely key these days! I would look forward to staying here if I was visiting the area. 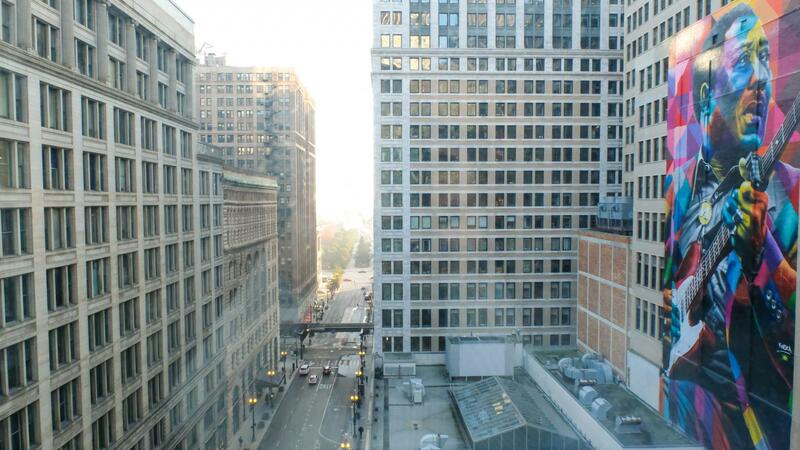 Chicago is one of our favorite cities, and this hotel looks amazing and is centrally-located. I’ll look for it next time I visit Chicago. Please do! I highly recommend it!!! 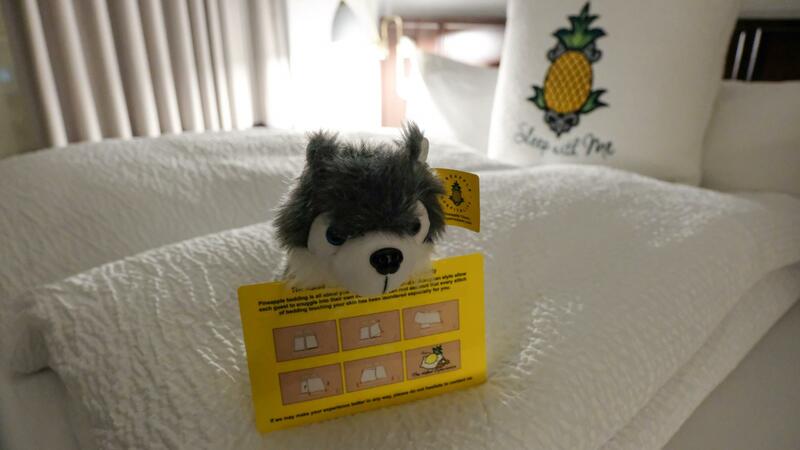 Love all the cute details at the hotel—the pineapples are adorable and the design is really great! The hotel is located in a great area too and is super central! The food in the hotel restaurant looks delicious, as well. 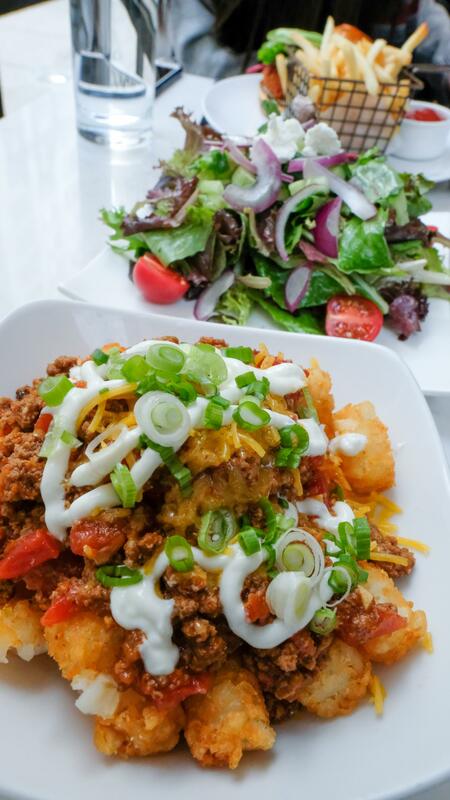 I’d love to try those loaded tater tots! 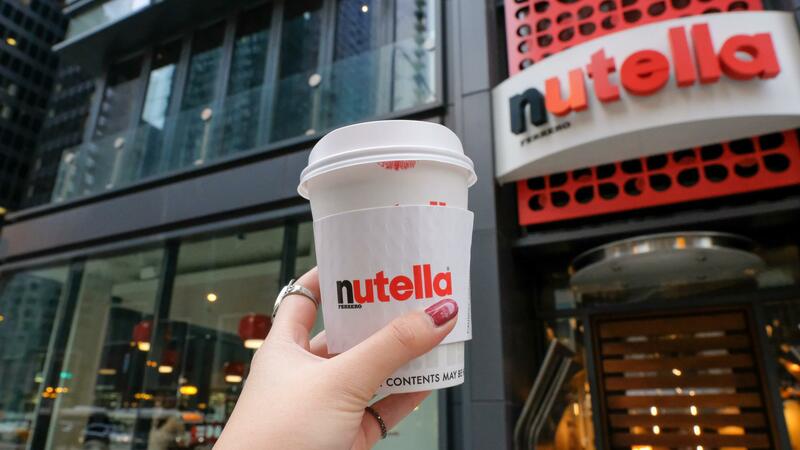 We’ve been to Chicago many times because we live about 6 hours away, but I never knew about the Nutella Café! I’m definitely going to have to try that next time we visit. 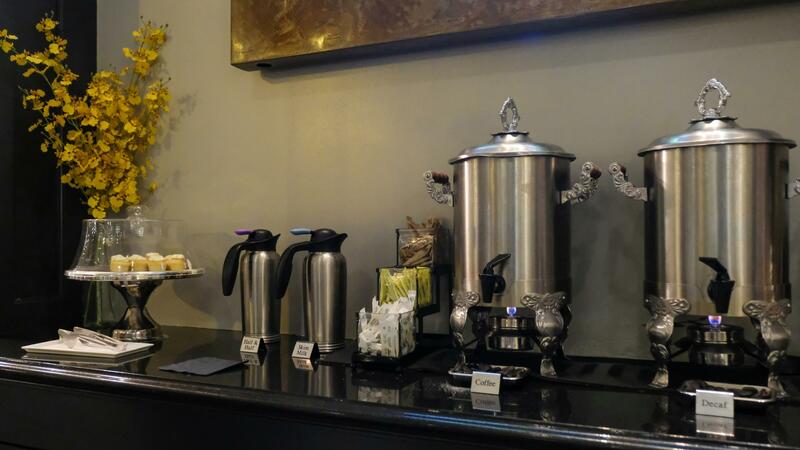 The little extras the hotel provides are really wonderful as well, especially the unlimited water—we will have to stay here next time we are in Chicago for sure! The pineapple theme of the hotel is unique:) Loved the architecture of the buildings and the interiors as well. Very sad to hear why you didn’t like Chicago and would honestly like to know why. I lived there for 5 years and if it wasn’t for the travel lifestyle, I would settle down in Chicago in a heartbeat. But very nice review, and beautiful pictures. Thank you so much Maydi! And wow, no way! I guess maybe my timing was just off. We went to a lot of the parks and the trees were mostly dead, the fountains were shut off, and the whole city just seems a bit depressing due to the rain and gloomy weather. I really enjoyed seeing the different architectures and murals around tho so I’m for sure down to revisit and explore more of the non-touristy areas. Wow! What a stunning hotel! Downtown Chicago is so amazing, I love all the old buildings, and the waterfront parks. The hotel offered so many personal touches, very classy. 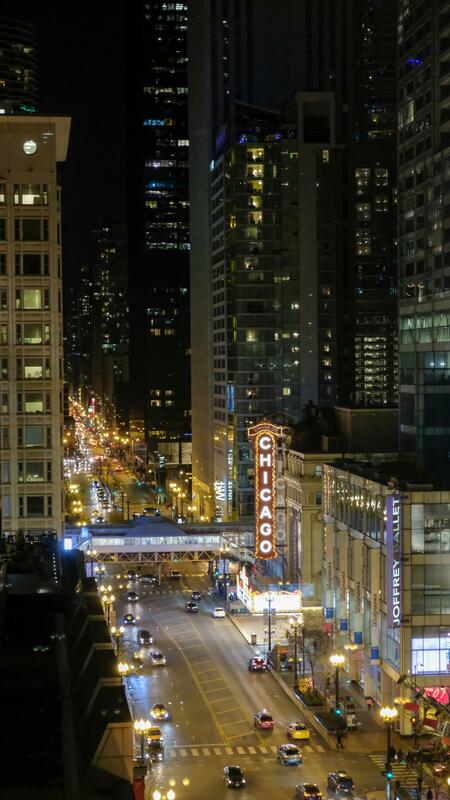 Hopefully you’ll get to revisit Chicago soon and perhaps spend a night here too! 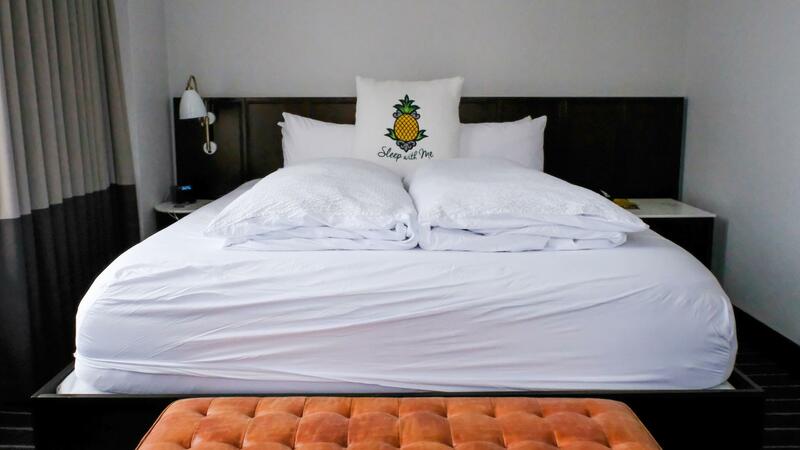 A hotel that loves pineapple as much as I do?!! I absolutely love when hotels/restaurants preserve the original history of the building they’re in. I definitely know where I’m staying when I go visit my bff in Chicago! Aww that seriously makes me so happy to hear, Christabel!!!!! The Alise really is quite the gem and I guarantee you won’t be disappointed! Wow this place looks so charming! I haven’t been to Chicago once and the place we stayed wasn’t that exciting, so I’d love to give this place a try! Sounds like it’s in a great location too! Also FYI, I am from the states I’m shocked by how big the portion sizes are too! Haha! Hahahhahahahahahhahahaha I’m surprised you haven’t gotten used to the food portions yet tho if you’re from there! And please do hit up The Alise the next time you revisit Chicago. You’d love it there! 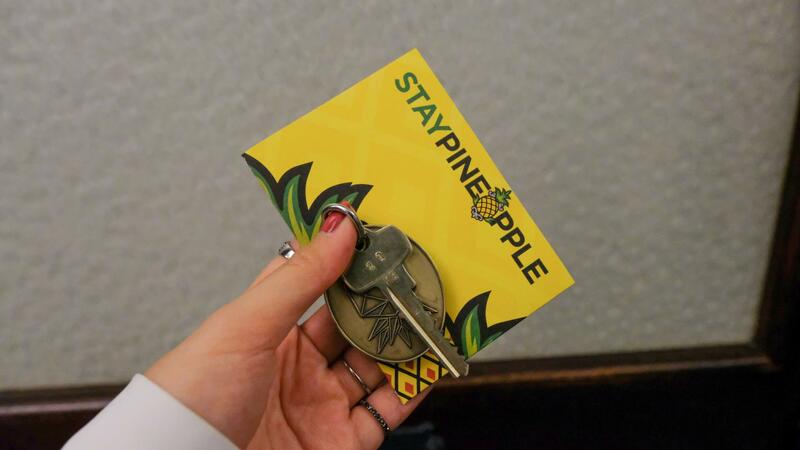 StayPineapple??! I love that! So cute and very well themed! My mom loved pineapples and would love to stay there. I love that you also get an actual key!! How retro and awesome! Bummer! I do find that historic buildings tend to be a bit older and sometimes dirtier but definitely not the case at The Alise so rest assured you’ll have a comfortable stay! 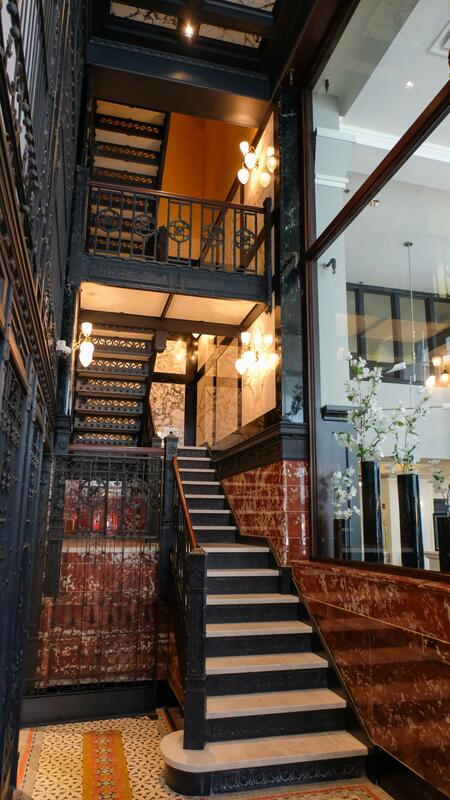 The interiors look majestic… Specially the staircase. The rooms look very well maintained and clean. And the food… Oh my looks so delicious. What an amazing stay you had. How i get a chance to stay here someday. Tell me about it!!!!! The photographer in me wanted to just dress up a model and pose her in front of that stairwell. If you ever visit Chicago, definitely do hit them up! Such a beautiful building. I love how much attention to detail in the room and services. It makes such a difference to your stay. Couldn’t agree more! It’s all in the details!!! It was super thoughtful of them and definitely a very nice personal touch to the overall boutique hotel experience! This hotel looks lovely and l like the yellow accents of colour everywhere. It is nice they have kept the building like it was an office building, it makes it a little different. The food looks yummy and the welcome gift was a nice touch. I will be sure to stay here when I go to Chicago! Very cute pop of color for sure and you won’t be disappointed! I live in Chicago and haven’t been to this hotel yet. SO many hotels in Chicago but good to know more about The Alise. Maybe I’ll check it out. I love that semi-retro feel! Will take note of this when I visit Chicago. Is Pine Apple Hotel a hotel chain? Yes, it is! They have other locations in Seattle, Portland, San Francisco, and San Diego too! Looks like an amazing find! saving this post for my future Chicago visit. You made things simpler! Glad to hear that, Arv! Cheers! Chicago has a ton of things to do and it’s a great to find the symbol of hospitals, a pineapple, very near all of those attractions. 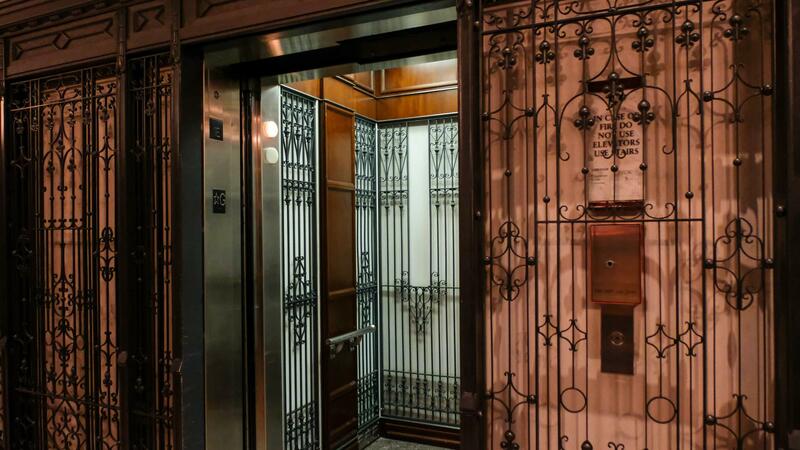 It’s nice that they are able to blend the old world charm of the building with modern luxury. The small details can really make a big difference like you said. You had me at the Nutella shop. This place is definitely way out of my budget, but seems very luxurious and comfortable. Love the photos of the city and the food pics that were definitely tempting me to head out to the store tomorrow to get some avocado. Thanks for sharing your experience. Omg you crack me up Kellyn! Hope you got that avocado and made some delicious avocado toast with it. The Alise is a little more on the luxury end of the spectrum but it’s a nice gift to treat yourself to. I do recommend visiting during low seasons as prices this time can be relatively cheaper. Looks like an ideal hotel. Little pricy but you get what you pay for. Nice commercial and modern look blended with ancient features. Pictures are amazing and neighbourhood looks quite lively. Bet anyone will have good exprience. This looks like a very nice hotel! 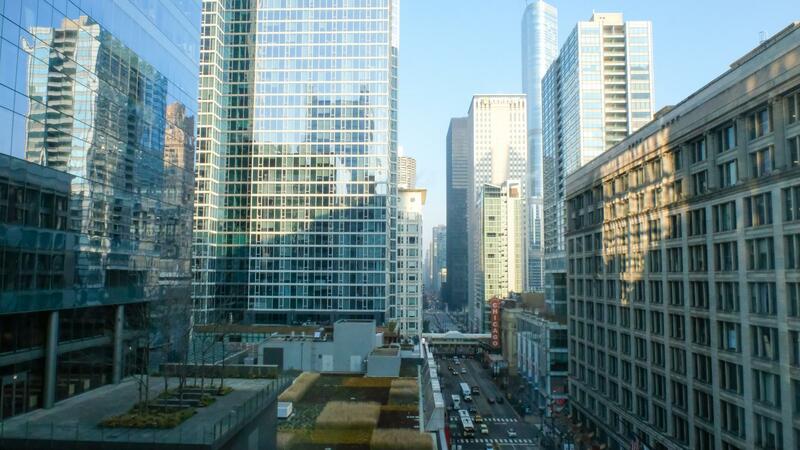 I know Chicago can be little challenging what comes to quality rooms with a reasonable price. 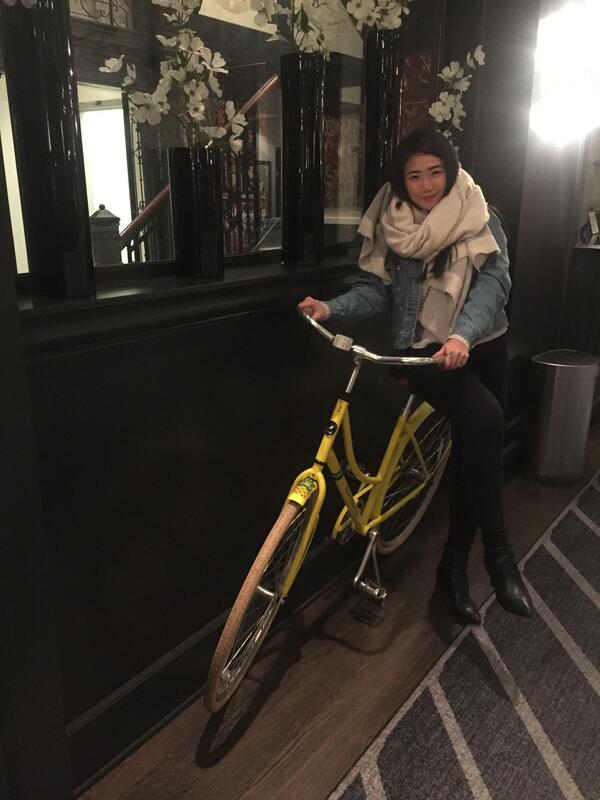 I love it that they had the bicycle for the guests, can be very useful in a city. Very cool! Their bikes are awesomeeeee. I just wish it was warm enough and I could actually ride one hahhahaa. So glad to hear, Agness! You won’t be disappointed!! I love, love, love your photos! I usually visit Chicago, and the next time I’m there, I’ll definitely consider the Alise. 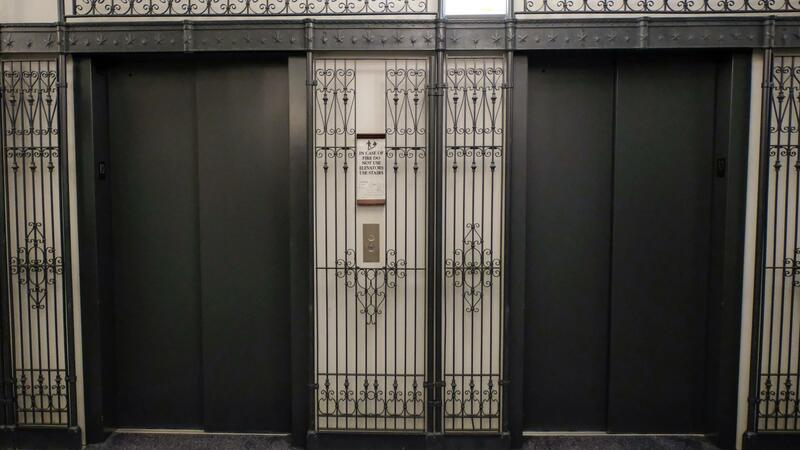 The Reliance Building is gorgeous anyway, and it’s nice to take a sneak peek inside. 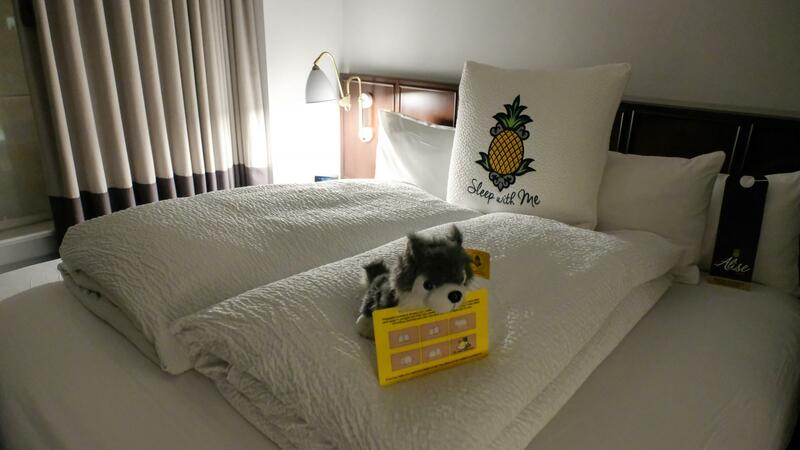 The bed looks so comfy, and I love those pineapple cushion covers too! Thanks for sharing a wonderful hotel in a super central location of Chicago. I always prefer a central location in big cities and therefore this hotel looks my kind of choice. 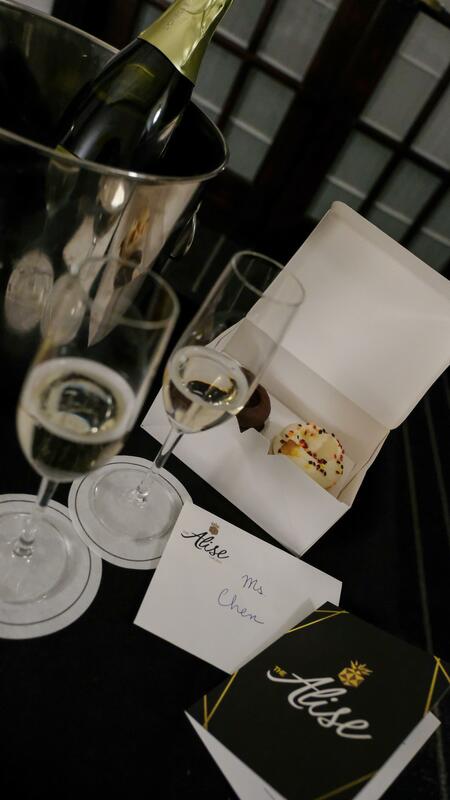 It is glad that the hotel staff welcomed you with a special handwritten note, champagne, and Cakes. As this is a historic and huge building, it must be interesting to stay here. Though there is no pool in the hotel, there are many other good points to be considered for staying here.